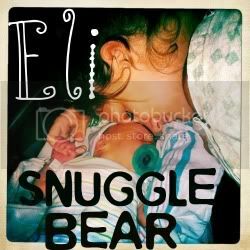 When I tightly wrap my hands around your bottom, and you rest your sleepy little head on my shoulder. When you reach for me.. When you look for me.. When you cry for me.. When we suddenly get a glace of one another, and can't help but to smile.. It is then, that I see how much I mean to you, and you to me. The smallest of things, mean the most. sooo sweet! love your blog! you are a strong girl! !